With the Super Bowl a couple weeks away, it’s time to start planning your menu. If sports aren’t your thing, I actually made these egg rolls for my Golden Globes soiree last weekend because I prefer a red carpet to an end-zone any day of the week. I love that these egg rolls are baked. Not only are they healthier, they’re also less time-consuming. A quick mist of nonstick cooking spray and a hot oven add an egg roll crunch, without the excess oil. Egg rolls, like pizza recipes, are ripe for customization. Fill the egg roll with whatever contents suit your mood. 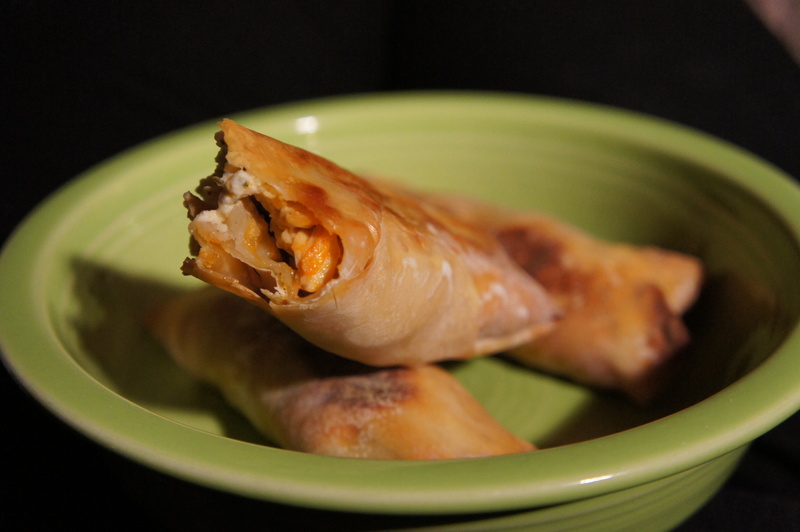 Buffalo Chicken Egg Rolls have just the right amount of heat. Piping the ranch cream cheese inside gives it that classic buffalo flavor without needing to dip them in any additional condiments. Your jersey (or dress) stays dressing free. Shred chicken. Mix chicken and buffalo sauce together in a small bowl. Add more buffalo sauce if you want more spice. Mix together the cream cheese and ranch mix. Place in a large ziploc bag to pipe. To build egg rolls, begin by laying out wrapper. Pipe a line of ranch cream cheese. Lightly wet all four corners with water. Adhere the top corner over the egg roll ingredients. 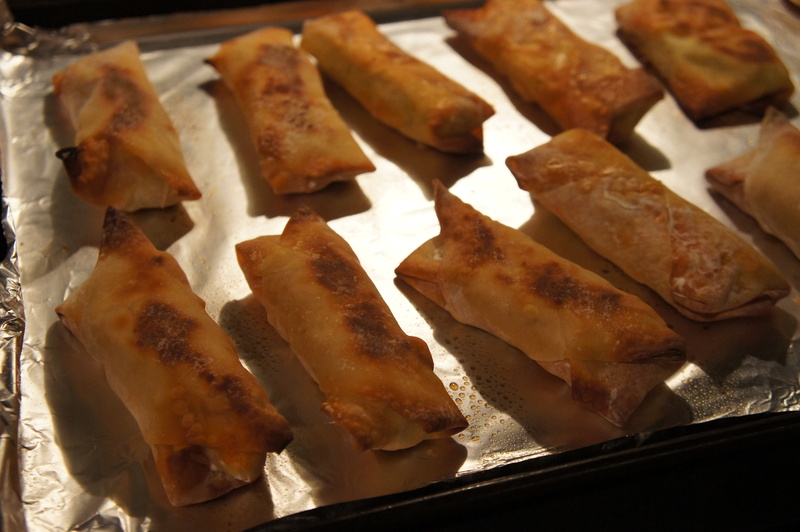 Place egg rolls on a foiled lined cookie sheet and spray the tops with nonstick cooking spray. Bake for 10 minutes. Flip the egg rolls over and continue baking for an additional 10 minutes.